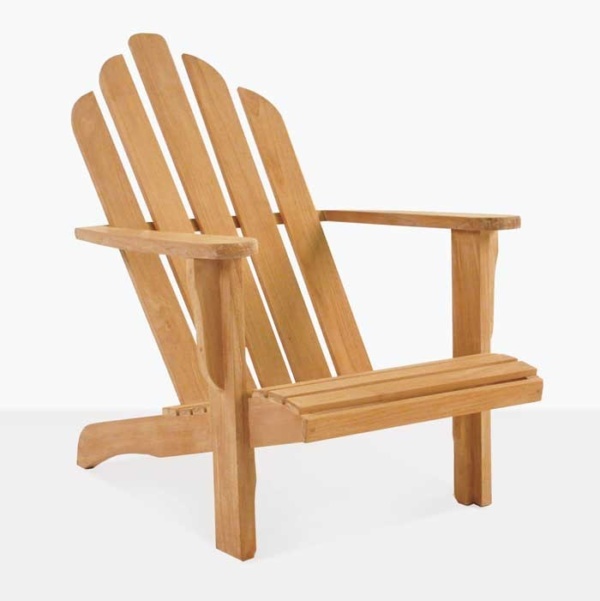 Classic, distinguished and robust; the Adirondack Chair’s popular, established design has proved time after time to be a favorite among our customers! Traditional and comfortable, the teak Adirondack chair suits any outdoor area! Place this classic teak relaxing chair on your veranda overlooking the ocean, with a Milano Side Table for those evening coolers! Keep it calm as the sun shines in by adding one of our fantastic 9ft Sunbrella® Umbrellas in Black or Canvas for a chic, refined look that will keep you in superb relaxation for hours on end! 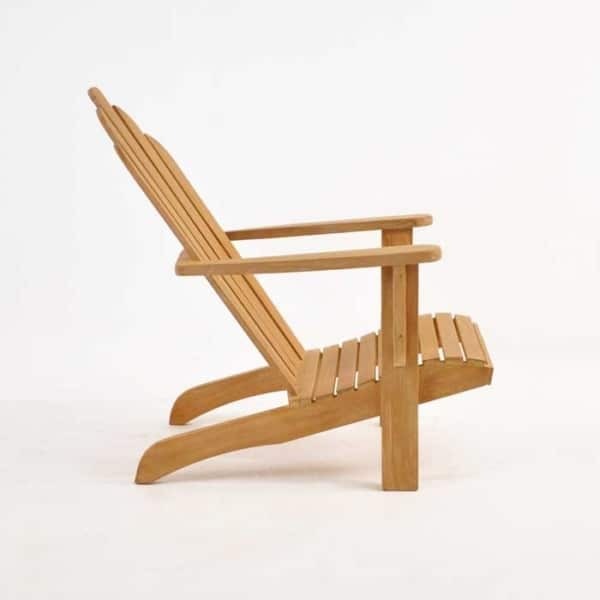 W29" x D35" x H37"
The wonderful Teak Adirondack Chair looks wonderful on the porch framing either side of your front door, statement pieces that have the benefit of being extremely useful, comfortable outdoor chair that you will enjoy for years to come! If you are after a quiet area for two in the garden, why not set up one of our Tiki 6.5ft Umbrellas with two Adirondack Chairs underneath with accompanying Adirondack Footstool. 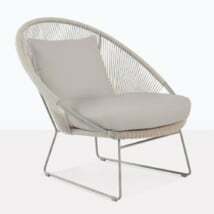 You will be content to sit there for hours in the shade and comfort of your surroundings! 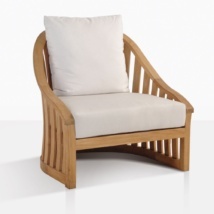 This classic teak relaxing chair features the signature 5 long back panels shaped in a soft arrow up the top. 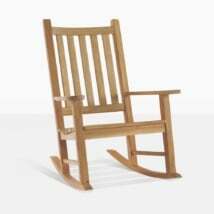 With a wide and sturdy frame, and a low lying seat, you will be wrapped with the quintessential Adirondack Chair. You don’t have to go to Connecticut for top-quality chairs. 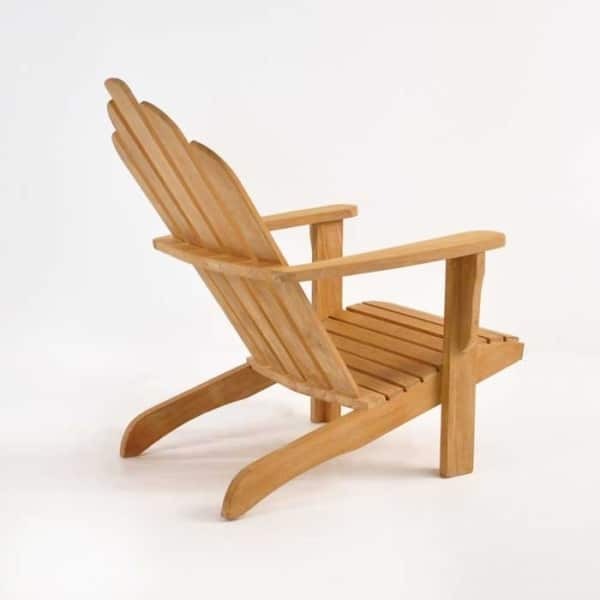 Our USA made Adirondack Chair is constructed from substantial cuts of A-Grade Teak, highly regarded because of its high levels of natural rubbers and oils, ensuring a quality product that will have a long life span. We deliver nationwide. 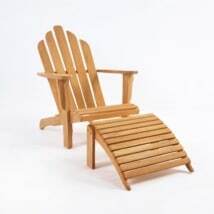 Purchase as a set with the Adirondack Chair and Footstool for a splendid teak relaxing combination. In store and available for pick up or delivery today! Call us now to order yours! Or if you want more information or have questions about other options for the charming Adirondack Chair; we would love to hear from you! Our sales staff are experts in outdoor furniture design and are in store 7 days a week to help you find the best possible pieces for your garden, patio or porch!